One of the little secrets of scouting is that Baden Powell would not have had the fame and international renown if it were for a little known journalist of the era. The journalist was the son of an extremely important family in Great Britain. His paternal grandfather was the Seventh Duke of Marlborough. The journalist was known for his daring and desire for excitement. He ranged through Africa during the colonial wars of the late 1800’s. He later became Lord of the Admiralty during World War I, Chancellor of the Exechequer (like the Secretary of the Treasury), and twice Prime Minister of the United Kingdom, known for his desire to fight Nazism and Communism. Shortly after his second time as prime minister, Churchill wrote this remembrance of Lord Baden Powell, who had died over 10 years earlier. THE THREE most famous generals I have known in my life won no great battles over the foreign foe. Yet their names, which all begin with a B, are household words. They are General Booth, General Botha and General Baden-Powell To General Booth we owe the Salvation Army; to General Botha, United South Africa; and to General Baden-Powell, the Boy Scout Movement. I was fortunate in making the acquaintance of this versatile celebrity before the polo tournament was over. Three years passed before I met him again. The scene and the occasion were very different. Lord Roberts’ army had just entered Pretoria, and General Baden-Powell, who had been relieved in Mafeking after a siege of 217 days, was riding in two or three hundred miles from the Western Transvaal to report to the Commander-in-Chief. I thought I would interview him on behalf of the Morning Post and get a first-hand account of his famous defense. We rode together for at least an hour, and once he got talking he was magnificent. I was thrilled by the tale, and he enjoyed the telling of it. I cannot remember the details but my telegram must have filled the best part of a column. Before dispatching it I submitted to him. He read it with concentrated attention and some signs of embarrassment, but when he had finished he handed it back to me, saying with a smile, “Talking to you is like talking to a phonograph.” I was rather pleased with it, too. In those days B.-P.’s fame as a soldier eclipsed almost all popular reputations. The other B.P, the British Public, looked upon him as the outstanding hero of the War. Even those who disapproved of the War, and derided the triumphs of large, organized armies over the Boer farmers, could not forbear to cheer the long, spirited, tenacious defense of Mafeking by barely eight hundred men against a beleaguering force ten or twelve times their numbers. No one had ever believed Mafeking could hold out half as long. A dozen times, as the siege dragged on, the watching nation had emerged from apprehension and despondency into renewed hope, and had been again cast down. Millions who could not follow closely or accurately the main events of the War looked day after day in the papers for the fortunes of Mafeking, and when finally the news of its relief was flashed throughout the world, the streets of London became impassable, and the floods of sterling cockney patriotism were released in such a deluge of unbridled, delirious, childish joy as was never witnessed again until Armistice Night, 1918. Nay, perhaps the famous Mafeking night holds the record. Then the crowds were untouched by the ravages of war. They rejoiced with the light-hearted frenzy of the spectators of a great sporting event. In 1918 thankfulness and a sense of deliverance overpowered exultation. All bore in their hearts the marks of what they had gone through. There were too many ghosts about the streets after Armageddon. One wondered why B.-P. seemed to drop out of the military hierarchy after the South African War was over. He held distinguished minor appointments; but all the substantial and key positions were parceled out among men whose achievements were unknown outside military circles, and whose names had never received the meed of popular applause. There is no doubt that Whitehall resented the disproportionate acclamation which the masses had bestowed upon a single figure. Was there not something “theatrical”, “unprofessional” in a personality which evoked the uninstructed enthusiasms of the man-in-the-street? Versatility is always distrusted in the Services. The voice of detraction and professional jealousy spoke of him as Harley Street would speak of the undoubted cures wrought by a quack. At any rate, the bright fruition of fortune and success was soon obscured by a chilly fog through which indeed the sun still shone, but with a dim and baffled ray. The caprices of fortune are incalculable, her methods inscrutable. Sometimes when she scowls most spitefully, she is preparing her most dazzling gifts. How lucky for B.P. that he was not in the early years of the century taken into the central swim of military affairs, and absorbed in all those arduous and secret preparations which ultimately enabled the British Expeditionary Army to deploy for battle at Mons! How lucky for him, and how lucky for us all! To this he owes his perennially revivifying fame, his opportunity for high personal service of the most enduring character; and to this we owe an institution and an inspiration, characteristic of the essence of British genius, and uniting in a bond of comradeship the youth not only of the English-speaking world, but of almost every land and people under the sun. It was in 1907 that B.-P. held his first camp for boys to learn the lore of the backwoods and the discipline of Scout life. Twenty-one boys of every class from the East End of London, from Eton and Harrow, pitched their little tents on Brownsea Island in Dorsetshire. From this modest beginning sprang the world-wide movement of Boy Scouts and girl guides, constantly renewing itself as the years pass, and now well over two million strong. In 1908 the Chief Scout, as he called himself, published his book, Scouting for Boys. It appealed to all the sense of adventure and love of open-air life which is so strong in youth. But beyond this it stirred those sentiments of knightly chivalry, of playing the game – any game – earnest or fun – hard and fairly, which constitute the most important part of the British system of education. Success was immediate and far-reaching. The simple uniform, khaki shorts and a shirt – within the range of the poorest – was founded upon that of General Baden-Powell’s old corps, the South African Constabulary. The hat was the famous hat with the flat brim and pinched top which he had worn at Mafeking. The motto “Be Prepared” was founded on his initials. Almost immediately we saw at holiday times on the roads of Britain little troops and patrols of Boy Scouts, big and small, staff in hand, trudging forward hopefully, pushing their little handcart with their kit and camping gear towards the woodlands and parklands which their exemplary conduct speedily threw open to them. Forthwith there twinkled the camp fires of a vast new army whose ranks will never be empty, and whose march will never be ended while red blood courses in the veins of youth. It is difficult to exaggerate the moral and mental health which our nation has derived from this profound and simple conception. In whose bygone days the motto “Be Prepared” had a special meaning for our country. Those who looked to the coming of a great war welcomed the awakening of British boyhood. But no one, even the most resolute pacifist, could be offended; for the movement was not militaristic in character, and even the sourest, crabbiest critic saw in it a way of letting off youthful steam. 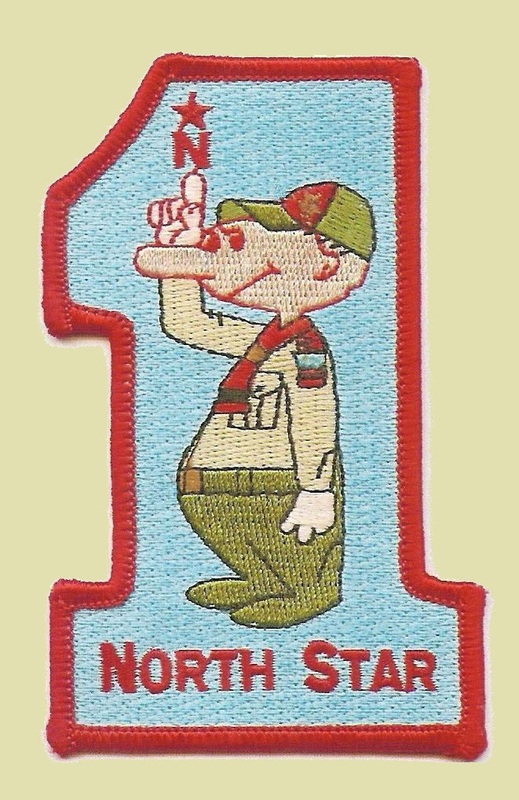 The success of the Scout movement led to its imitation in many countries, notably in Germany. There, too, the little troops began to march along the roads already trampled by the legions. The Great War swept across the world. Boy Scouts played their part. Their keen eyes were added to the watchers along the coasts; and in the air raids we saw the spectacle of children of twelve and fourteen performing with perfect coolness and composure the useful functions assigned to them in the streets and public offices. Many venerable, famous institutions and systems long honored by men perished in the storm; but the Boy Scout Movement survived. It survived not only the War, but the numbing reactions of the aftermath. While so many elements in the life and spirit of the victorious nations seemed to be lost in stupor, it flourished and grew increasingly. Its motto gathers new national significance as the years unfold upon our island. It speaks to every heart its message of duty and honor: “Be Prepared” to stand up faithfully for Right and Truth, however the winds may blow.